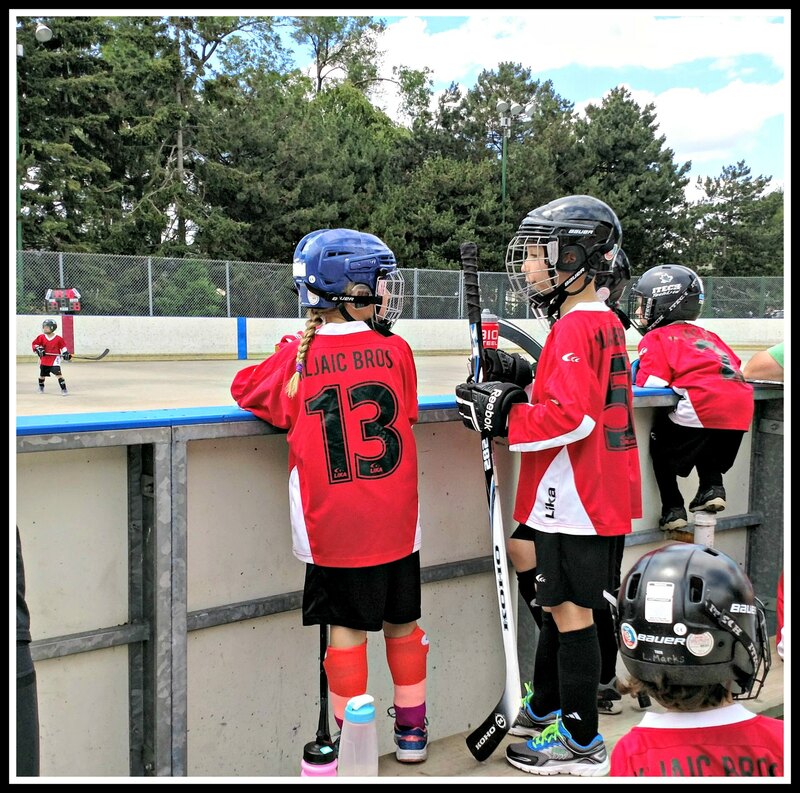 Today Violet played her last ball hockey game of the EMBHL season. 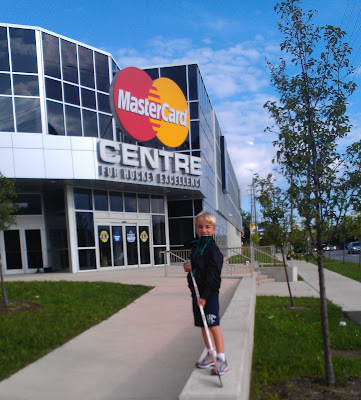 Sure she might play on a team at provincials, but this is the end of the red team season. They had a chance of winning it all but came up just short. Losing 4-3. today’s picture of the day is Violet and Lucas discussing what play they were going to try their next shift. Between them, they scored all the Red team’s goals, Lucas with 2 and Violet with one. They came close to tying it up in the final minutes but just couldn’t do it. Still, it was a good season for Violet, who missed a few games with her broken arm.